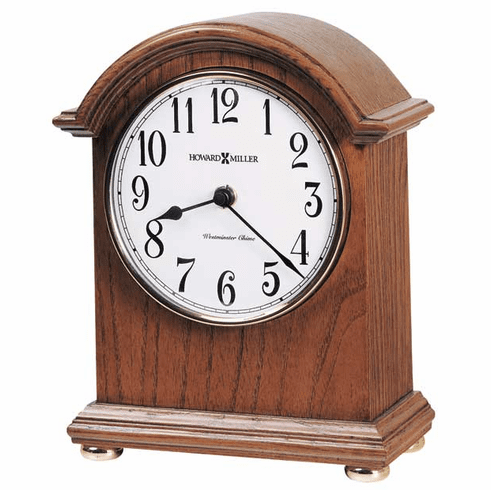 This arched mantel clock features a decorative top molding, a polished brass bezel, and turned, polished brass bun feet. An off-white dial under convex glass features black Arabic numerals and black hands. Finished in Oak Yorkshire on select hardwoods and veneers. Automatic nighttime chime shut-off option. Quartz movement plays Westminster chimes on the hour.